What an amazing night this will be for all in attendance! I can not WAIT for this night. The ONLY tickets available at TicketWeb are in the Balcony Rear section so if you are still waiting to buy your ticket don’t delay! I will be posting some other sources for tickets in part 2 of my fan guide to PaleyFest. Oh and almost forgot-I want to present Alexander Skarsgard and Kristin Bauer (and a few others if I have enough time to finish the books) with a photo book. 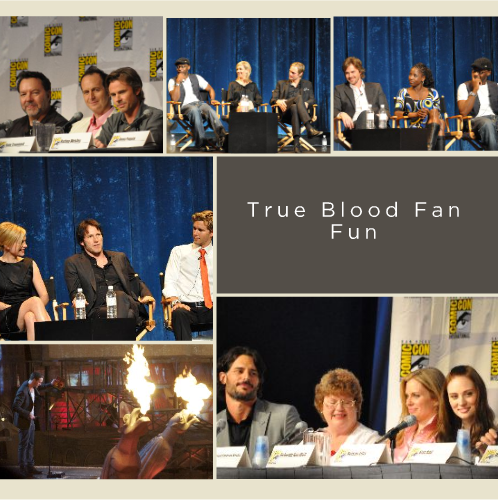 I have lots of photos from the different True Blood events I’ve been blessed to attend. I want to include photos of them with fans so if you have been able to have your photo taken with any of the True Blood cast (particularly Alex or Kristin) please send them to me by email. I won’t post the photos on the website this is just for the scrapbook I am making for them. Here is the cover so far (I need a better title !) So if you wish to have your photo included please send me a high resolution (ie not a tiny sized file or else it comes out blurry) along with where you took the photo so I can include. E-mail to me here! and include FanPhoto in the subject line. thanks!! This entry was posted in News and tagged Alexander Skarsgard, Anna Paquin, PaleyFest 2011, True Blood on February 17, 2011 by admin. WOW! Can’t believe how many of the cast will be there. I can’t wait! THIS IS GOING TO BE AMAZING!!! It is going to be an unbelievable night for all the fans! I can’t wait! YAY!! Just purchase a domain name and consider out some hosting and then set up a wordpress theme. Or go to say Squidoo lens or Hub pages and start up a weblog of sorts for free. Perhaps its greatest to get hosting and set up wordpress though – But you are able to do it very easily and for free of charge with blogger.com or wordpress.com. I as well as my pals were actually reading through the good helpful hints located on the blog and before long got a terrible suspicion I had not expressed respect to the site owner for those tips. All the ladies ended up absolutely happy to learn them and have in effect surely been having fun with them. Appreciate your turning out to be considerably helpful and also for considering this form of extraordinary subject matter most people are really wanting to understand about. My very own sincere regret for not saying thanks to you earlier. Sweet internet site , super style and design , really clean and employ genial .